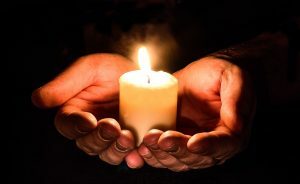 Ignite your creative fire on our very special Into The Light Imbolc Yoga & Creative Writing Urban Retreat and mark the transition between the darkness of winter, and the budding of Spring on the weekend before Imbolc, or St. Brigid’s Day, one of the four most powerful dates in the Gaelic calender. Join Yoga teacher Vanessa Rigby and author Noelle Harrison to open up your creativity through the balancing practice of yoga and stretching writing exercises in the beautiful city of Edinburgh in Scotland. 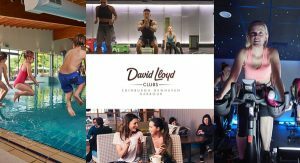 Hosted by David Lloyd in Newhaven Harbour, our one-day urban retreat includes time for relaxation in their Celsius Spa with its hydrotherapy pool, sauna and steam room. Imbolc is a potent time of year to step forwards with clarity and vision. Our Into The Light Yoga and Creative Writing Retreat is a symbiosis of inner reflection, and outer expression. 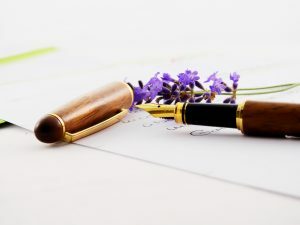 Through the balancing of yoga practice, and guided writing exercises, you will become more aware of the relationship between your body and your mind, writing through your body, and opening up your creativity. Whether you are a complete beginner wanting to explore different ways of expressing your inner voice and creativity, a yogi wishing to journal, or a writer wanting to develop your focus and writing stamina, Into The Light offers you something special. 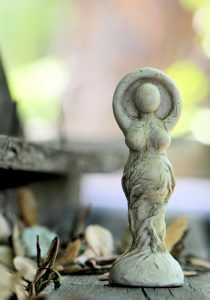 Our one-day Imbolc retreat creates a safe and stretching space to deepen your relationship with yourself, while also connecting with a small intimate group in a nurturing and restorative environment. Noelle Harrison is the Irish author of eight novels, and has been translated into over 13 different languages. Her short stories have been published in Lines of Vision, Irish Writers on Irish Art, and in Gutter Magazine of New Scottish Writing. 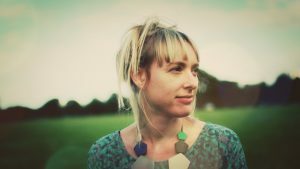 She has won The Meath Chronicle Short Story Award, and has been shortlisted for the Molly Keane Short Story Award, and The Hennessey New Irish Writing Short Story Award.Noelle has extensive experience of teaching writing workshops in Ireland, Scotland, Norway and London, and is a founder of Aurora Writers Retreats. In February 2017 Noelle co-hosted Aurora Writers Retreats First Days of Spring Writing Retreat in the Scottish Borders. In November 2017, she ran the popular Picture This! weekend workshop at Litteraturhuset in Bergen co-hosted by Skrivekunstkollektivet in Norway. Having lived in Bergen for several years, Noelle now lives and works in Edinburgh in Scotland. Noelle has been practising yoga for nearly 10 years and has found it invaluable in her life as writer. Her latest novel is The Gravity of Love, published by Black & White Publishing in May 2018. Vanessa has been practicing yoga for over 10 years allowing her to feel more centred and grounded both on and off the mat. Following her passion for yoga she embarked on teacher training in 2015 and completed her 200hr yoga teacher training and 85 hours Antenatal yoga. She has a daily Mysore practice and studies alongside her teacher Sarah Hatcher. Before becoming a yoga teacher Vanessa studied Occupational Therapy and worked with people in many different settings. When Vanessa is not teaching and practicing yoga she spends her time buzzing about the city with her daughter, finding time to be by the sea, prowling round for anywhere that sells good cake and keeping an eye out for live music and decent films. 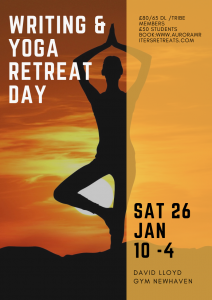 Our Into The Light Imbolc Retreat will incorporate Vinyasa, Hatha and Nidra yoga practice in symbiosis with unblocking creativity, writing prompts and confidence building writing practice. The day begins at 10.00 and ends at 4.00 p.m. Our program incorporates three sessions of yoga and creative writing that are interlinked with the intention of transitioning from inner reflection to outer expression. There will be one morning break, when we will be providing teas, coconut water, and fruit . There will be a lunch break from 12.30 – 1.30 p.m. but we do not include lunch. Participants are welcome to buy coffee or lunch at David Lloyd’s café downstairs, go outside for lunch, or bring their own food to eat in our designated retreat space in David Lloyd. Our program ends between 3.00 p.m and 4.00 p.m but participants are welcome to use facilities at David Lloyd Gym until 8 p.m. This includes time for relaxation and reflection in Celsius Spa with its heated hydrotherapy pool, saunas, and steam room. Imbolc is one of the four Gaelic Fire Festivals of the Pagan year celebrated annually on the first day of February. Astronomically however Imbolc often occurs a little later. Since it is a Cross Quarter day, the midpoint between Winter Solstice and Spring Equinox, its date can vary between 2nd & 7th February. In 2019, Imbolc is on 2nd February and this is why we have chosen it as the theme for our yoga and creative writing retreat, Into the light. A physical and metaphorical transition between winter and spring. When Ireland & Scotland converted to Christianity in the 5th century, Imbolc, or the festival of the Pagan Goddess Brigid was transformed into St. Brigid’s day. There is even some debate over whether the Christian St. Brigid even existed at all, and that Early Christian monks created her in the image of Brigid, a Celtic Goddess of the same name, who brought inspiration to poets and was associated with fire and the home hearth. 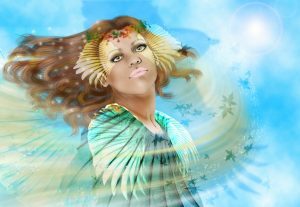 To read more on the significance of Imbolc as a time of creative renewal for me and other writers take a read of our post here. The full day of yoga and creative writing workshops from 10 – 4.00 p.m.
Use of The Celsius Spa with hydrotherapy pool, sauna and steam room until 8.00 p.m.
Accommodation or meals. However participants are welcome to eat in David Lloyd’s fabulous restaurant and we will provide you with the opportunity of pre-ordering from the menu for lunch on Saturday 3rd February. Additionally if you are looking for accommodation in Edinburgh for the weekend please do let us know and we will assist you as much as we can. Located right next door to David Lloyd in Newhaven Harbour is Premier Inn. Numbers are limited on our Into the Light Imbolc Retreat as we want each participant to get the most out of our teaching. Book your place early to avoid disappointment! The Scottish capital of Edinburgh is steeped in history. As you ascend the cobbled Royal Mile towards the Castle, it is as if you are walking back into the past. 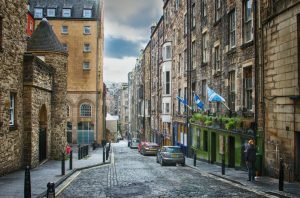 From the dark alleys of its Medieval Old Town, to the classical sweep of its Georgian New Town, it is impossible to ignore the whispers of Edinburgh’s ancestors. As a UNESCO City of Literature Edinburgh is the perfect location for ourInto The Light Imbolc Yoga & Creative WritingRetreat. 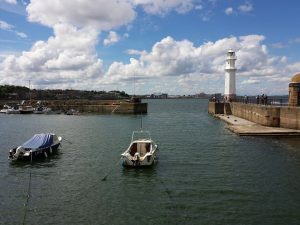 With stunning views of the Firth of Forth from our retreat space at David Lloyd in Newhaven Harbour you will be inspired by the new light of early spring as winter still holds strong on the landscape. You can read Brittany’s full review of the retreat day here. ‘I found the idea of using tarot cards in creative writing very original and inspiring. A great deck of cards could help anyone come up with new ideas for their story, or help them go over some writer’s block they might have. I recommend the tarot decks I used: one is a tarot with illustrations by Nicoletta Ceccoli, the other one is the Deviant Moon tarot by Patrick Valenza.